I have been extremely busy lately. I am so overwhelmed at times that I have the feeling my head is going to explode. It won't of course, but it can lead to a condition called Exploding Head Syndrome. I am not kidding; there really is such a syndrome. The people suffering from it can experience loud noises in their head which resemble the sound of a gunshot, explosion, roar, or slamming door. They can also see flashes of light, have palpitations, shortness of breath, panic attacks, insomnia, or hear buzzing sounds. This often occurs at night when the person is either wide awake or shortly after he/she has fallen asleep. Exploding Head Syndrome often happens as a result of anxiety, stress, fatigue, damaged brain nerve cells, or damage to the temporal lobe. The disorder is rather harmless, although it can be quite annoying and uncomfortable. The best way to prevent it is by avoiding sleep deprivation and exhaustion, incorporating a healthy diet, ensuring to get enough rest and relaxation, and controlling and reducing stress. Mostly affected are people 50 years of age and up and children under the age of 10. In case you are already suffering from this condition you can try the above mentioned methods. Over time, the syndrome will disappear. If nothing works you ought to see your physician who may want to treat it with antidepressants. The fear of being woken up due to those sounds will cause more stress and anxiety. Reading the Bible and/or praying have a calming and reassuring effect. I would rather experience a sound sleep then sleep wakened by a sound. There is a great comfort in the knowledge that God hears our prayers and will not let us go without what we need! When you lie down, you will not be afraid; Yes, you will lie down and your sleep will be sweet. I had been battling a cold for almost two and a half weeks when it finally seemed to be clearing up a week ago. That's good, because I was getting kind of weary of it. Well, nothing it always what it seems; the cold came back this weekend and with a vengeance. A severe cold, lots of coughing, and a swollen, painful throat had me feeling pretty bad. Experience has taught me that when I suffer from these symptoms it usually turns into pneumonia. With my already low immune system and the medications I am taking, I didn't hesitate and made a doctor's appointment. I am glad I did. She concluded that besides a severe cold, I also had tracheal bronchitis. I was not entirely sure what that was, but I had a hunch and I was right; it is an upper respiratory infection which usually occurs during the winter due to cold air, dust, viruses, bacteria, and allergies. It is easily treated with antibiotics and after having received a shot of cortisone, a prescription for antibiotics and one for clearing up my cough, I was on my way back home. I am glad I took care of it, because a tracheal bronchitis is still a threat to lots of people and take a turn for the worse really quick. Most people are not aware of that and wait too long. My advice is; don't struggle with it. Put it in the capable hands of the experts and it will all be taken care of. That is also the case with many problems and situations we encounter during our lives. Don't struggle with it. Put it in God's capable hands and it will all work out for the best! Behold, the Lord’s hand is not shortened, That it cannot save; Nor His ear heavy, That it cannot hear. This post brought to you by YourCareMoments. 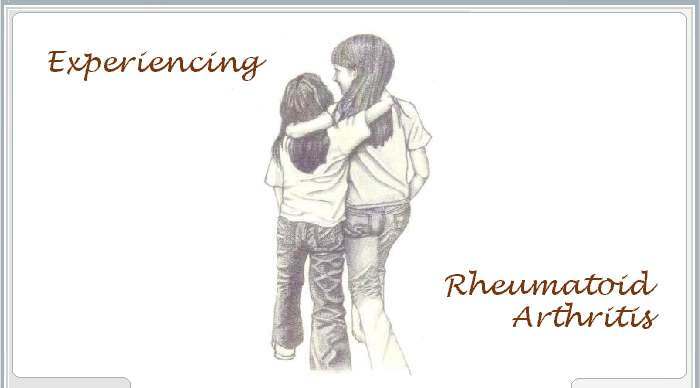 The content and opinions expressed below are that of Experiencing Rheumatoid Arthritis. I had to see my General Practitioner yesterday due to severe cold symptoms. The care that was given was excellent, but the time involved was ridiculous; from arrival to exit took over two and a half hours and the vast majority involved waiting. I am quite sure that besides time-related complaints many of us, who have a condition and frequently have to see their physician, may have problems with other issues. You may come away feeling like a number or with more questions than answers. Fussing about it doesn't do any good, because who is going to take note of your gripes anyway? YourCareMoments does! This specialized business intelligence firm offers online surveys which will provide insight to biopharmaceutical manufacturers and health insurance companies in order to improve access to care and medications. Sign up for free and get paid quickly for each online survey you complete. You can either use your computer or your mobile phone. The surveys only take a few moments, are anonymous, and pertain to your opinions, experiences, received healthcare, prescriptions, choices and decisions. Your opinions and experiences matter a great deal. They can eventually benefit the research of your medical condition and fatten your wallet in the mean time by talking about it and sharing your experiences. Don't wait. Sign up now and get paid to let your voice be heard! This post brought to you by Art Gallery. The content and opinions expressed below are that of Experiencing Rheumatoid Arthritis. I have visited museums before, but I have never been to an Art Gallery. I sure would like to and indulge in the vibrant colors and get lost in the scenes from the hand of Artist Sam Park for instance. The Amour d’Art Fine Art Gallery is featuring the works of several famous and sought after artists. From James Coleman Art to Disney Art to Pino Art, no matter what style or genre you prefer, it can all be found at Amourdart.com. All these creations are currently available for as low as dealer prices and it is worth taking a look at. In case you haven't noticed yet; art heals mind, body and soul! Time has been sliding by and I know I haven't been posting for a while. My time has been taken up by school, cub scouts, and other gazillion things to remember and do. What little time we have to ourselves is (involuntarily) being put towards trying to catch up and recuperate from all the hustle and bustle. If all of that hasn't been enough yet, Holiday season is right around the corner. We are already trying to gather up some gifts. That way we don't have to do everything at the last minute. It would be easy letting the holidays creep up on us. We may think we have plenty of time, but time goes by way too fast. On top of all that we are being confronted with sickness and flare-ups. Our grandson is suffering from a cold which is accompanied with fever and a nasty cough, and some of my joints and muscles are acting up. Our little man probably got his condition from his mom and little sister. Don't ask me where mine come from, because I don't know. It wouldn't take much getting lost in all these things and occupying our minds with daily troubles and problems. However, let's first and foremost keep in mind that God is our stronghold. He provides all we need and than some to face and get through this!